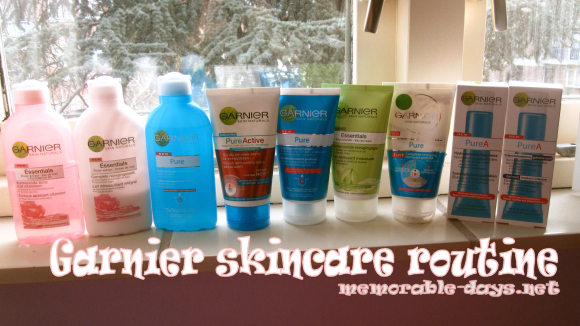 Garnier skincare routine | Memorable Days : Beauty Blog - Korean Beauty, European, American Product Reviews. I've been using products of Garnier for a long time now ^_^, probably longer than four years. There are a few Garnier products that I really like, but I don't like all of them though. I will review all of the Garnier products which you see in this picture in a few parts. Part one will be out this week =). Wow dat is een stash zeg!